Is there anything more important than your child’s health? It can be an anxious time if they are unwell or coping with a long term condition. Children’s Health Scotland works in partnership with parents, carers, professionals, and children and young people to help them meet their healthcare needs. We represent children and young people’s needs within the Scottish Government, healthcare committees and other non-governmental organisations. We provide information, support, advice, liaison role and resources on any aspect of a child or young person’s healthcare. Our booklets ‘What to expect when your child goes to hospital’, Helping children cope with pain’, ‘Helping children cope with needles’ and ‘Young people in hospital’ are available free to parents and are also downloadable from our website. Our projects, which operate in different parts of the country enable us to support children, young people and their families. 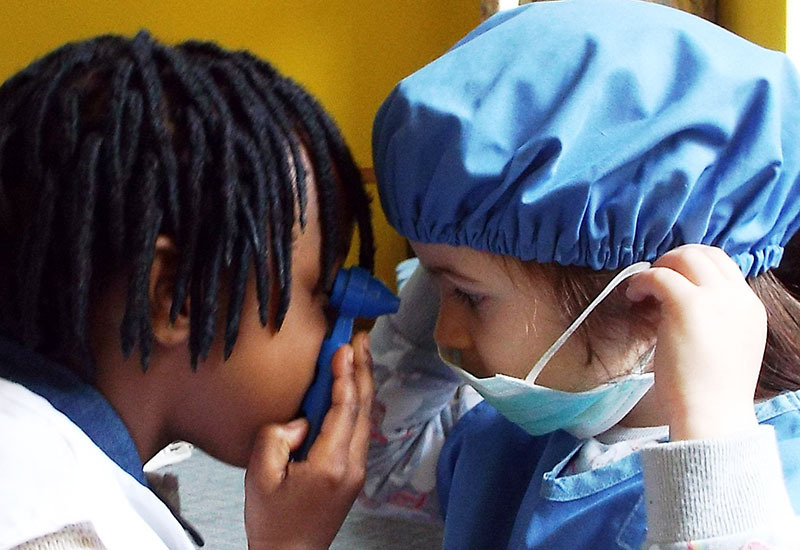 Overall we work to ensure that health services are planned for children and young people in child-centred environments which are staffed by appropriately trained staff. We promote high quality healthcare services at home and in hospital, while working to obtain equality of services and access across Scotland. *Click here to donate to Children’s Health Scotland. This Christmas, ACCORD Hospice invites you to remember and celebrate the life of someone who is special to you, by sponsoring a star on its Starry Night Sky as part of its annual Light Up a Life Appeal. Each year ACCORD Hospice cares for more than 1,200 individuals and their families, and to continue its first class care the charity needs to raise over £5,000 each day. Your donation to this year’s appeal will help Accord Hospice to provide special care to local people with life-limiting illnesses that need its support this Christmas, and throughout the year. 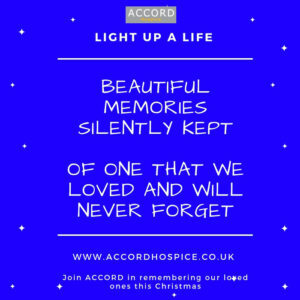 *Click here to donate to create a star and donate to Accord Hospice. 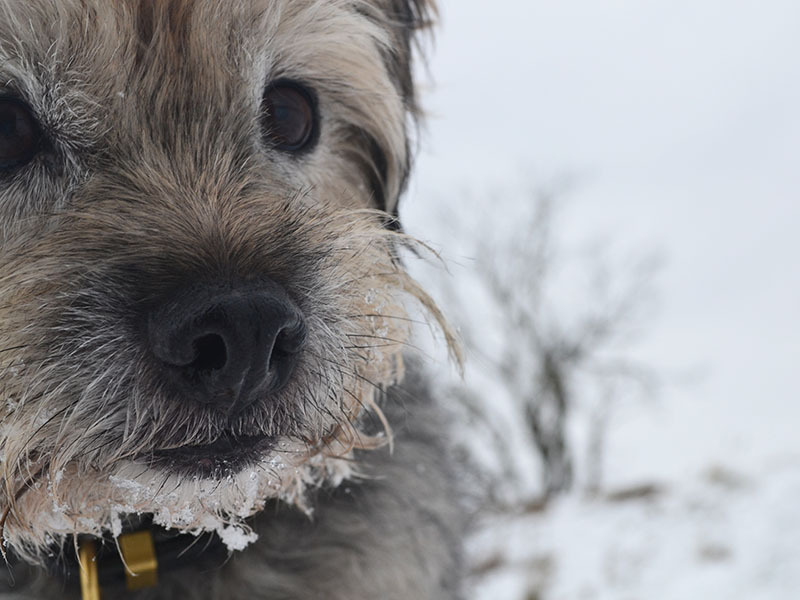 Could you re-home a dog this Christmas or donate to cover vet bills? Since 1956 Dog Aid Society of Scotland has been providing valuable services to dog owners by re-homing dogs and operating various Schemes to assist dog owners on low income meet the cost of unexpected veterinary bills (such as an accident or sudden severe illness) or with assistance in paying neutering costs. Although the Society is Edinburgh based it operates throughout the whole of Scotland and we welcome enquiries from anywhere in the country. Dog Aid Society re-homes dogs of any breed, size or age. As we do not have kennels we work on a home to home basis matching dogs to suitable homes. If a dog is eight-years-old or older at the time of re-homing, the Society will cover all veterinary bills (with the exception of routine treatments) for the remainder of the dog’s life as part of our Old Dog Scheme. We also cover costs relating to conditions that are pre-existing at the time of re-homing, for dogs of any age, again for the remainder of the dog’s life. Once in their new homes the Society meets any costs required to ensure that the dogs re-homed are vaccinated, microchipped and neutered in order to promote responsible dog ownership. Over the years since 1956 we have heard so many happy success stories of dogs we have re-homed so when looking to re-home a rescue dog, why not consider re-homing a DASS dog. *To donate to the Dog Aid Society click here. 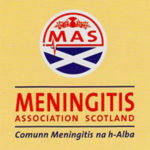 Meningitis Association Scotland was formed in 1991. Perhaps surprisingly, prior to our formation there was no agency in Scotland dedicated to helping sufferers of the disease nor to fund vital research and development into its causes and to meet the challenges sufferers and their families face in their daily lives. Since then, through the dedicated actions of our members, fundraisers and friends Meningitis Scotland has raised over £1,000,000 and helped fund research into the various strains of the disease. Recently the Meningitis Association of Scotland provided a generous donation to enable the SMPRL to purchase a robotic liquid-handling system and a DNA sequencer at a total cost of £121,600.00. 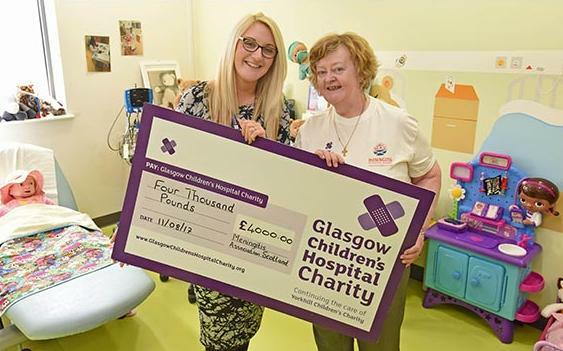 The Meningitis Association Scotland presented the hospital with the first Haemodialfiltration Unit machine at a cost of £8,000. The unit has saved the lives of many children without loss of limbs or brain damage. The organisation supports families that have been made handicapped through meningitis who need specialised equipment to make their life a little more comfortable. The Meningitis Association of Scotland recently helped Jamie Clark, a meningitis survivor, with a re-vamped backyard complete with Birds Nest Swing. It is trying to raise money for specialised lasers which deliver non evasive treatment for children with tumours – with your donations they can make this possible. *Click the link here to make a donation to Meningitis Association of Scotland. Scotland’s leading children’s charity Children 1st is appealing to people across the country to join its campaign to help children and their families recover from trauma this Christmas. The charity supported more than 10,000 children and their families last year and aims to double this figure by 2023 through its ‘Give A Child Their Smile Back’ campaign. Children 1st aims to prevent child abuse and neglect, keep children safe in their families and help children and adults recover from the impact of childhood adversity and trauma by developing strong supportive relationships within families and communities. Demand for the charity’s support is growing, but to reach all the children that need them and give more children across the country their smile back, Children 1st needs the donations of fellow Scots. Mary Glasgow, Children 1st’s CEO, said: “Christmas is traditionally a time for families to get together and create lasting memories, it’s easy to forget that some people may not have that opportunity this year. *Click here to donate to Children 1st. For most of us, Christmas is a time of joy. Sadly, there are too many children in Scotland who face a Christmas without food, warmth or love. At Action for Children they are working to change this – and the charity needs your help. Its Emergency Foster Carers ensure children have a safe and loving home, with spare presents wrapped for children they need to help at a moment’s notice. Some of its centres are open over Christmas to support families who have nowhere to go. It distributes food from food banks to make sure children don’t go hungry. That’s why Action for Children is asking you to be a Secret Santa for a vulnerable child this Christmas. The charity’s Santas don’t have reindeer or wear big red suits. But they’re doing something special. These children won’t know who it was that made sure they were warm, or that they felt safe, but they’ll know someone was there for them. And you’ll know that you’ve made their Christmas a little brighter. *Click here to make a donation to Action for Children’s Secret Santa campaign or text SANTA8 to 70607 to donate £10 to Action for Children. Who do you turn to when times get tough? Your partner, perhaps. Or your family and closest friends.The people you can rely on. The people who are always there for you. No one to ask when you just don’t know what to do next. No one to be there for you when you’re facing a crisis. No one to talk with when you’re feeling desperately lonely. Age Scotland is here to help. The Age Scotland helpline (0800 12 44 222) is free to call and completely confidential. Whether it’s dedicated information to help someone cope with a bereavement, the right number to call to arrange help after leaving hospital, or simply the chance to talk over a problem at home, it is here. Last year the Age Scotland helpline answered over 10,000 calls from Scotland’s older people, their family and carers. Help the charity be there to answer the next call. A diagnosis of bipolar disorder can leave you feeling isolated and lonely and affect your confidence and self-worth. The stigma makes you want to hide away. The intensity and unpredictability of bipolar can impact on work, colleagues, friends and family – causing ‘burn out’. It is difficult to know how to disclose, leaving you even more isolated. Suicide is a huge issue. Bipolar disorder has one of the highest rates of suicide for any mental health condition with 1 in 13 people dying by suicide. This can cause huge devastation to families and friends destroying hopes and expectations for the future. There is no cure for bipolar disorder but with a little support it can be managed! Self-management and having a wide community of support such as Bipolar Scotland groups can help. 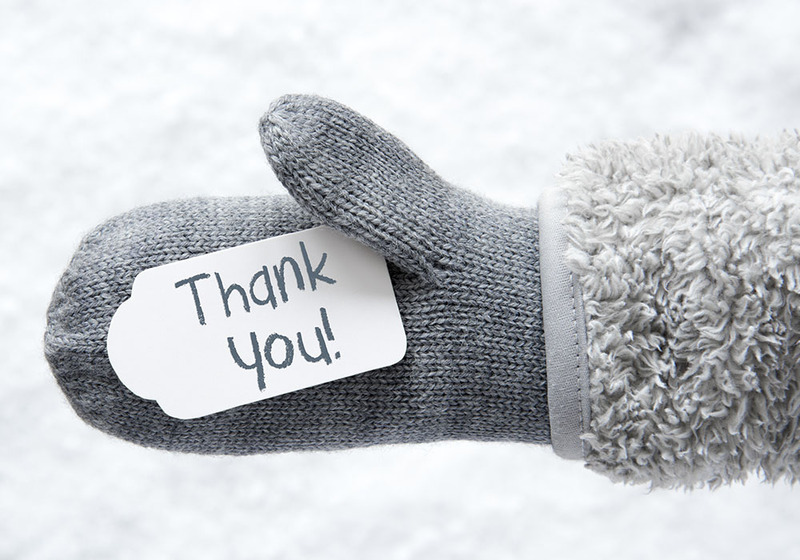 This Christmas join Bipolar Scotland in providing friendship. Join them in the fight against stigma. Join them to reduce suicide rates. From as little as £3 per month you can join the charity in providing a safe space for people affected by bipolar where they don’t need to hide who they are. Where they can remember how to be and know: it’s okay not to be okay. *Click here to donate to Bipolar Scotland. A diagnosis of epilepsy can be difficult to take in at any time of year, particularly at Christmas. Epilepsy Scotland’s free confidential helpline service provides information, help and emotional support to those affected by epilepsy when they need us most. If you have been recently diagnosed, struggling with your epilepsy or just simply need someone to talk to, our friendly helpline staff can provide support. Our helpline workers do not limit the amount of time they spend on one call and we frequently send out information on the condition, all of which is free of charge. Some of our callers include people with epilepsy, their friends, family and work colleagues. We also provide support to professionals, for example social workers, GP’s, nurses, teachers, care workers and employers. If talking is not for you, you can contact us by text, email or by private message on Facebook or direct message via Twitter. If English is not your first language, you can access our free interpreting service. Our helpline staff are available Monday to Friday from 10am to 4.30pm (excluding local and national holidays). *Contact Epilepsy Scotland’s helpline on 0808 800 2200 or visit the website by clicking here.